Listen up!! !Animated Lego plane, one of only two in the whole world. Manufactured for John Wanamakers, Philadelphia department store and made out of over 140,000 Lego pieces. This masterpiece took 2 men over 9 month to construct. 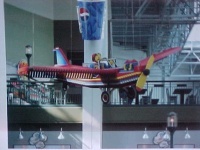 The pilots head moves, the propellers turn and the tail and wings have motion. 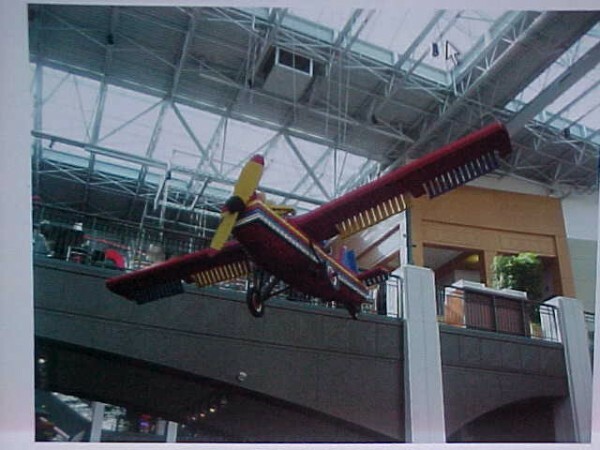 The exact mate to this now hangs in the Mall of America. Want something unusual and eye catching, then this is for you……….